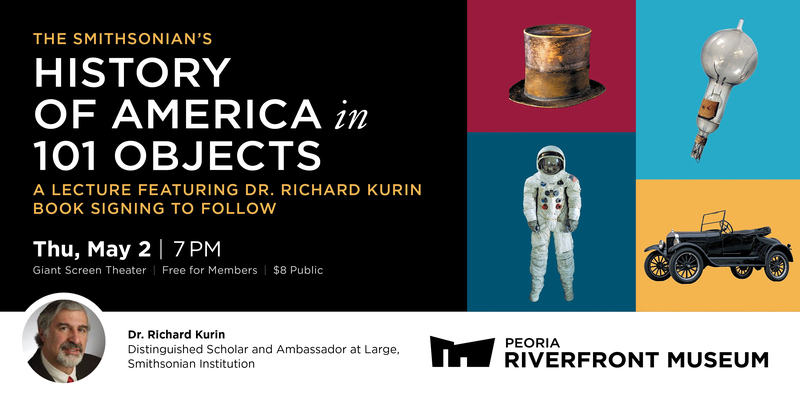 Join us in welcoming Dr. Richard Kurin, Distinguished Scholar and Ambassador at Large for the Smithsonian Institution, to our Museum for a special lecture on American Inventions! Dr. Kurin, aided by a team of top Smithsonian curators and scholars, created a literary exhibition of 101 objects from across the Smithsonian's museums that together offer a marvelous new perspective on the history of the United States. Learn more about these objects and American ingenuity! A book signing will follow in the lobby.